As students enter their freshman year or return to their respective universities, I think there are 5 books Catholic Students in College Need to Possess. You might be asking yourself, are there really only five books? With all the great books in the world, you’re only picking five of them? We all know there other good books out there, but this is a good place to start. In the future, I will do another list or two. These books can help a student when they face persecution from non-Catholics on what Catholics believe. As I told my high school students at Savio three years ago, once you make the Sign of the Cross in a university dining hall or food court, someone is going to ask you – why did you do that and what does it mean? Defending the Catholic faith is called Apologetics. It’s not about apologizing for being Catholic, although some may want that from you. The word apologetic comes from the Greek term, apologia, which means “to defend.” The best way to defend your faith is to know your faith. Seek out avenues of good formation and catechesis that are faithful to the Catholic Church. The Catechism of the Catholic Church (Book #2) is the best source for those teachings. 1. The Holy Bible, Revised Standard Version, Catholic Edition. Most non-Catholics believe that Catholics don’t read the Holy Bible. It is a terrible assumption and one that needs to be corrected immediately. The Catholic Church compiled the books of the Bible in the 4th century. It’s because of the Church that we have the Canon. As Catholics, we have 73 books in the Bible. We did not add books to the Bible; the Protestant Reformers subtracted them. 2. The Catechism of the Catholic Church. The Catechism of the Catholic Church (CCC) is one of the greatest works of Catholic theology in recent memory. It is divided into four parts: The Profession of Faith, The Celebration of the Christian Mystery, Life in Christ, and Christian Prayer. The CCC is the tool for the New Evangelization! Developed by Pope Saint John Paul II and a Commission of Cardinals and Bishops in 1986, it was promulgated on October 11, 1992. The CCC is the menu guide to the Catholic faith. Every Catholic should own a copy and read it! 3. Butler’s Lives of the Saints/Introduction to Mary. Although these are essentially two books, I am counting them as one at this time since Mary and the Saints are so closely united. First, during their own life times, the Saints read the Lives of the Saints for the same reason we need to read them. They found their lives to be important as well as examples of how to live a holy life while on this earth. The Saints are our brothers and sisters in Christ who are now in the presence of God eternally. Make sure you purchase the most recent published book on the Saints. Many saints have been canonized in recent years. 4. Praying in the Presence of Our Lord. Most of the books I have presented so far will provide valuable information, however this book, written by one of today’s living saints, Fr. Benedict Groeschel, C.F.R., will give you words and encouragement to make the time to attend Eucharistic Adoration at your local Newman Center/Catholic Center. It’s small enough to fit into your back pocket or a small purse. Fr. Groeschel gives you great prayers for Eucharistic Adoration as well as some writings from the saints on the Holy Eucharist. As a disclaimer, these are books that a student should own in case they need to defend their Catholic faith. They don’t need to be read them at this very moment. When your professor gives reading assignments, use common sense and read your assignments. Grades are important. If your Newman Center or university offers Eucharistic Adoration, that’s a good place to read these texts. This blog post is dedicated to the St. Dominic Savio Catholic High School Classes of 2012, 2013, and 2014. Especially those who are attending my graduate school alma mater, Franciscan University of Steubenville. “Theology and Sanity” by Frank Sheed is also a great summary and synthesis of the Catholic worldview. Yes, it is. His Theology for Beginners is good too. What about the perrenial classics? How bout the Imitation of Christ, the Sinners Guide, Introduction to the Devout Life, anything Ven. Fulton Sheen, or the Way by St. Josemaria Escriva? It seems better to start reading books written by saints who are praying for the readers. Yes, all great books. This is a list to begin with. Students should build from there. Maybe I will do a follow up list in the future. I love Fulton Sheen! …except that those Catholics who are unfamiliar with the basics of the Catholic faith, and who have not been encouraged to see how all of that content is in fact logically related and coherent, wouldn’t have the first clue as to why they should even read the saints. As far as many young, badly catechized Catholics are concerned, the Church is only an institutional body existing in the now with its HQ in Rome, and the saints are just dead people. An ill-catechized Catholic of any age often has no sense of the Church as the Mystical Body of Christ– Militant, Suffering, and Triumphant, and does not understand that one of the implications of the Incarnation is that Life Eternal– the Life of Eternity– is chosen now, and is not merely left for the hereafter. Moreover, just a cursory glance at Catholic discussions online will show us that many Catholics will often proof-text the saints the way many Protestants proof-text Scripture: take for example each and every pants-versus-skirts discussion. It’s not uncommon for someone to get beaten over the head with what St. Padre Pio said, or what Our Lady said at Fatima, both of which get applied rather stringently to women who wear trousers, and neither of which are pronouncements ex cathedra. Moreover, St. Gianna Beretta Molla wore pants, so it’s not like wearing them will bar a woman from Heaven. The same can be said of every discussion of women, NFP, and family size, whereby many Catholics will assume that only their way of living the Catholic faith (stay-at-home mom with a big family) is the only way to be a “true” Catholic and the only way of married holiness– when the Church’s Magisterium teaches no such thing (I haven’t failed to notice how almost every such discussion ignores the role of sacramental grace in the way we use NFP to discern, and writings like “Mulieris Dignitatem,” John Paul II’s “Letter to Women,” and Cardinal Ratzinger’s “Letter to the Bishops of the Catholic Church on the Collaboration between Men and Women in the Church and in the World” as those Catholics in question then presume that they can tell by appearance who’s holy and who’s not). The saints illustrate different ways in which God makes people holy with what He’s given them. The reason for why an orthodox faith matters in Catholicism is because God doesn’t change, even as people are different. It is the One Who is eternal Who can make all of these very different people holy. Catholics, especially those who don’t really know their faith, should first learn to have a sense of what the Catholic Church teaches and does not teach (and why), and to learn some humble level-headedness– perhaps before they approach any particular saint. For those reasons, I think the above list of five books is an excellent place to start. College students especially need to know that Catholicism is a smart religion with a profound intellectual tradition– and that devotion is a good thing, but fideistic devotionalism is not. Becoming immersed in the writings of any particular saint is not necessarily going to convince, say, a college-bound cradle Catholic who is afraid that the Catholic Church just wants to keep women down and make them have as many Catholic babies as humanly possible (because nobody ever took the time to gently disabuse him or her of that idea)– unless perhaps that saint is St. John Paul II. It would make far more sense to tell them and reassure them that this is not what the Catholic Church teaches and then follow up with what she does teach (for example, the Church loves and welcomes big families, but does not mandate them for everyone). No saint’s holiness means a thing apart from the One Who made them holy in the first place, anyway. 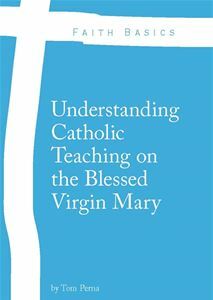 For any college student to get the most out of reading the saints, they should first have some basics of the sense of the bigger picture of what Catholics believe, and where the saints “fit.” It is important for effective apologetics that college students who are Catholic realize that it is important that Catholics think with the faith that they have been given. Apologetics by necessity involves engagement with others, and thinking with the faith we have been given is part of what it means to fall in love with the Lord. In terms of the above list, I second the recommendation of Eucharistic Adoration and a strong prayer life– the Rosary is good for this, too. Apologetics involves basic theology, not necessarily at an academic level, but in the sense that theology is faith seeking understanding, and is therefore an endeavor for all believers. As a revert to the Catholic faith, one thing that I did find when I was first reading the Catechism and learning to pray the Rosary all over again is that once I started putting the Eucharist first, everything else started falling into place. As I prayed while reading, and as I received the Sacraments regularly, I saw that I could anticipate what was coming as I read the Catechism. I can’t disagree with (1) or (2) – although I’d add a more accessible version of (2), such as “The Teaching of the Catholic Church: A New Catechism of Christian Doctrine,” by Herbert McCabe OP. And (5) is a brilliant choice. In place of (3) I’d put “Saints and Sinners: A History of the Popes,” Fourth Edition, by Eamon Duffy. I know – Catholicism is not papalism, but most of the challenges students will encounter will be historical, and this is accessible history from one of the best historians today. In place of (4) I’d put either the modern classic, “A Theology of Liberation: History, Politics, and Salvation,” by Gustavo Gutierrez – or the modern American classic, “The Long Loneliness: The Autobiography of the Legendary Catholic Social Activist,” by Dorothy Day. As an undergraduate long ago, I was most moved by fiction by Catholic authors, notably Evelyn Waugh and Graham Greene. Thank you for you suggestions, however, Liberation Theology has been condemned by the Catholic Church. Anyone that does not have a good understanding of sound doctrinal theology would be led astray by such writings. Both Pope St. John Paul II and Pope Emeritus Benedict XVI have spoken about the dangers of such theology. The Instruction “Libertatis nuntius” was published on August 6, 1984, with the approval of Pope John Paul II, by the Congregation for the Doctrine of the Faith. 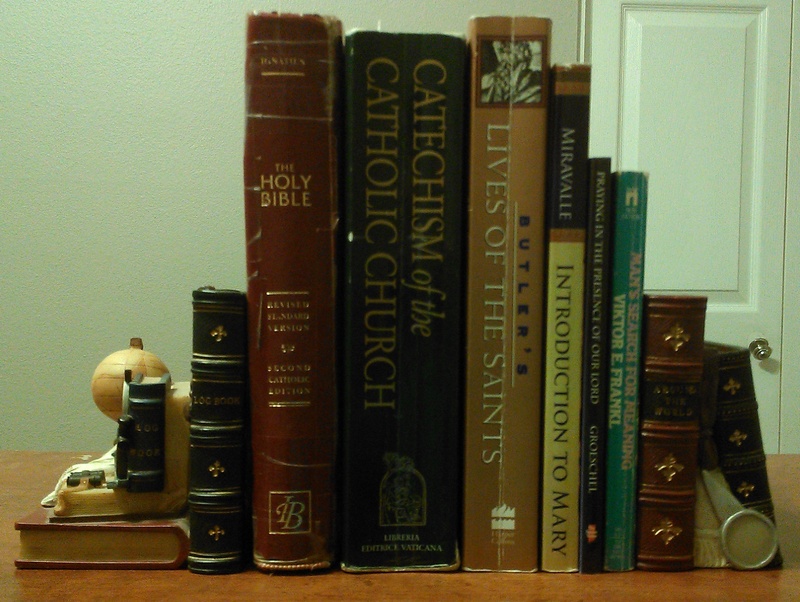 Not sure why you would replace the books on the Blessed Mother and on the importance of Eucharistic Adoration. You should read them before you dismiss them. Yes, number 5 is a great choice. Changed my life. Awesome list! I need to get Praying in the Presence of Our Lord. Beautiful List.How about The life of Christ By BishopSheen. I haven’t read that one yet, but it might be my Lenten book for this year. Anything by Sheen is great. Oh, and they should all subscribe to the “Magnificat” magazine as well. I never thought about that one. Great call! Those are good ones as well, Rob. I might have to another list of books in the future. I enjoy Chesterton too. I’d suggest ‘Introduction to the Devout Life’ as a spiritual guidebook – Yes Frank Sheed’s earlier works are excellent – Kreeft’s Handbook of Catholic Apologetics and Catholic Christianity are ok but the Old Archbishop Sheehan’s “Apologetics & Catholic Doctrine’ is better than the CCC. Everyone should know GKC’s ‘Orthodoxy’ inside out but there is one thing really missing from the list – decent ethics/moral theology – sadly there isn’t a decent moral theology book – there hasn’t been a good one written in over a century – but I would heartily recommend David Oderberg’s “Moral theory” & “Applied Ethics” to ensure a catholic can actually be armoured with the intellectual resources to take a stand for Catholic morality – as for fighting the apologetic through a philosophical/epistemological/metaphysical route of course Gilson is the best but Feser’s “The Last Syperstition” will give a student a fighting chance against the atheist-secularist mob – and as for Church History – go for Henri Daniel-Rops – Eamonn Duffy is a little too lazy and [erfunctory. Sheen’s Life of Christ is wonderful but so too is his hidden academic gem “God & intelligence in Modern Philosophy – an excellent introduction to Thomistic thinking….. This list is the first five books students should own. Yes, there are other books. In the future, I will do another list. Philosophical books are not the most accessible for college students who have never studied Philosophy. Yes, philosophy is important, my BA is in the topic, but this list was intended for the average college student. My writing on this topic comes from my experience in the high school and college classroom. If I was going to do a list I would send my kids with the following books as the basics they need. 2. Apologetics and catholic doctrine-sheehan and revised by fr. Peter Joseph this book cover both apologetics and doctrine in a more accessible and systematic way than the CCC. 3. The spiritual combat revisited by Johnathon Robinson. This book presents a spiritual program for combating the temptations of life, the world, the flesh and the devil and working toward holiness. It also has an excellent section on prayer. 5. The everyday catholic by martin Harrison a book of short instructive essays covering the subjects of everyday life that the catholic experiences in life, both psychological and spiritual. 6. Saints for sinners- Alban goodier. How about St. Augustine’s Confessions, Dante’s Divine Comedy, all of Shakespeare? 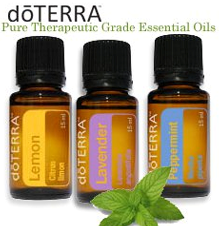 Did you read the blog post? The books are for defending one’s faith in college and assisting in prayer. Those are all great authors, but in this list.